Built circa 1905, this wood frame structure became the Jacoe Grocery and Market from the early 1920s until 1958. The City of Louisville purchased the property in the 1980s. It is currently the home of the Louisville Historical Museum. 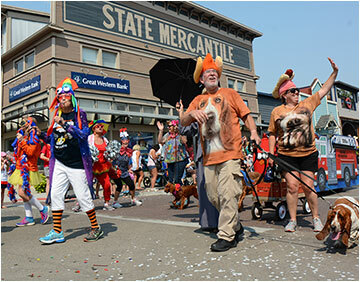 Don’t Miss the 83rd Annual Fall Festival and Labor Day Parade! Every Labor Day weekend in Louisville there are pies, pets, parades and a plethora of fun activities. Don’t miss the chance to come together with friends and neighbors to experience a weekend celebration. The Labor Day Parade will take over the streets of Downtown on Labor Day morning. Be sure to try out some of the other fun activities including the Bocce Ball Tournament, Children’s Pet Parade, Homemade Pie Contest, free swim, live music and more! See the full schedule of activities at www.louisvilleco.gov. Happy 6 Year Anniversary Gravity Brewing! 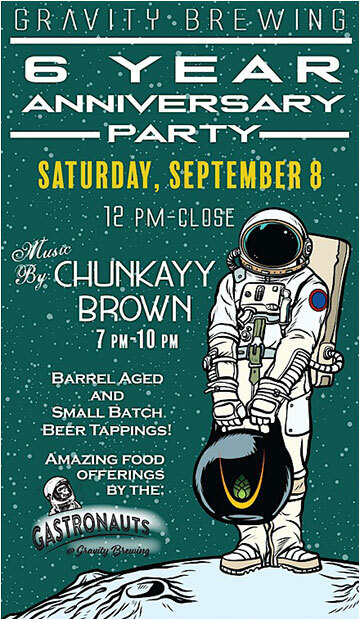 Come celebrate 6 years of making beer and friends in Louisville Colorado! The Brewery will be tapping several small batch and barrel aged beers including some collaborations with other breweries. There will be free live music with Chunkayy Brown, a 7-Piece Funk/R&B/Jazz Band from 7:00 – 9:00 pm. And as always, Gastronauts @ Gravity Brewing will be cooking up some exciting food specials! Here’s a unique way to have some fun during Art Walk. 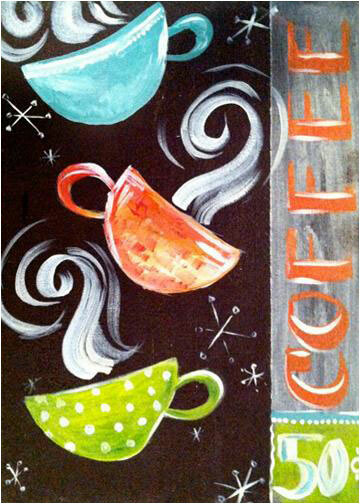 Co-hosted with Stacie Markham from Gallery on the Go, the Paint and Sip event will feature painting a coffee themed canvas. Bittersweet is also offering $25 carafes of house wine for the entire evening. So, bring a friend and show off your inner artist while sipping some fantastic wine in beautiful Downtown Louisville. Tickets are $40 and include all materials and a glass of house wine. Unexpected problems with construction renovations on this historic building has delayed the reopening of the restaurant. 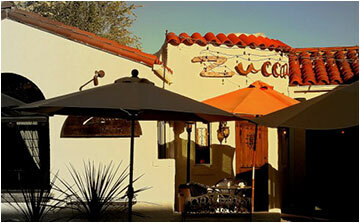 But the Zucca team hopes to reopen this fall with a great NEW menu and they look forward to seeing neighbors and friends when they reopen! 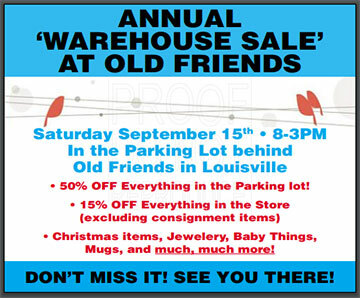 Anything and everything you need will be at this sale at incredible discount prices! Stock up on your Christmas gifts, baby items, mugs, socks, jewelry and much more! 50% off everything in the parking lot behind the store and 15% off everything in the store. 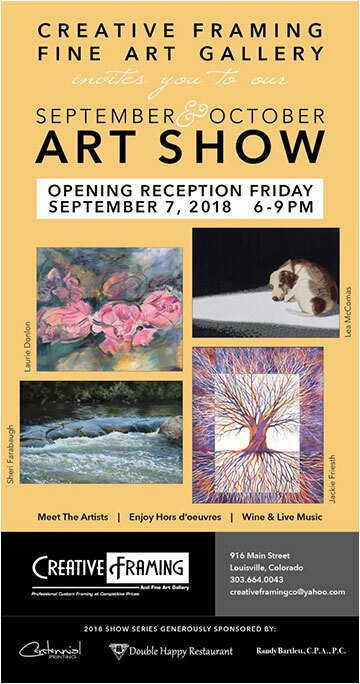 Be sure and attend this exciting opening reception for accomplished artists Jackie Friesth, Lee McComas, Sheri Farabaugh and Laurie Donlon. The talent of these artists will be accompanied by International Latin guitarist Alfredo Muro and of course lots of good food and drink. Standup Paddleboard Yoga is truly a class for all levels. The class will incorporate basic paddleboard and paddling information, vinyasa flow, core work, detailed instruction as to how to find balance out on the water, and of course, plenty of opportunity to play in the summer sun! Price includes all the gear you need, a 2-hour rental and yoga class, SUP instruction and a lot of fun! Advanced registration required. The mission of the Embody Love Movement is to empower girls and women to celebrate their inner beauty, commit to kindness, and contribute to meaningful change in the world. This is accomplished through transformational programs delivered to age specific small circles by certified facilitators. The certification process includes a 15-hour weekend training along with 2 supervision sessions. Trailhead Wealth Management, LLC will hold its 2nd annual summit Trailhead CAMP! on November 7. CAMP is a place for you to further your knowledge of timely and interesting topics relevant to your life, with a variety of expert speakers in their fields. Registration is FREE. Visit www.trailheadwm.com for more details and to register. A “Fiesta” Networking After Hours will take place at Louisville Realty Associates. Sip on yummy margaritas and enjoy some delicious food on a beautiful fall evening! RSVP by September 11.